When it comes to influencing workers to behave safely, leaders need to show them how it’s done. Recent studies have shown a direct link between workers’perception of the priority their leaders place on safety and their attitudetowards working safely. “If employees believe that the senior managers think safetyis important, they tend to behave more safely,” says Mark Fleming, an associateprofessor with the Department of Psychology at St. Mary’s University inHalifax. 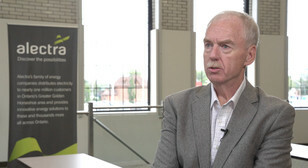 Since the mid-90s Fleming has been conducting research insafety leadership, looking at the practices of supervisors and managers thatinfluence the behaviour of their subordinates. Workers look to their leaders to set the priority and ifthey see that safety is not part of the priority, they tend to view it as lessimportant as well, Fleming says. “The basic framework that we’re using is that when you are aworker, you’ve got lots of different priorities (such as) production demands,quality demands. And nobody is saying that safety is not important, it’s justthat it’s relative to other priorities,” he says. Management sets the priorities and if all leaders talk aboutare production and achieving production targets, then workers assume that iswhat’s important and everything else, including health and safety, areirrelevant. Because safety tends to be intermittent by nature, coming uponly when an incident happens, managers need to be more aggressive in pushingthe issue of safety to the workforce. 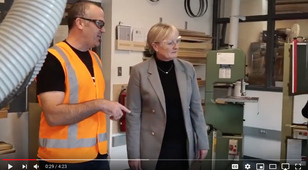 One way of being proactive, says Fleming, is by beingconsistently visible to the employees through regular walks around the floorand talking to employees about safety. “So instead of being reactive, they are more proactive aboutthe process,” he says. Fleming was among a group of psychology professors at St.Mary’s University who founded the CN Centre for Occupational Health and Safetyin Halifax, a CN Rail-funded research organization focused on studies thatidentify best practices for creating safe and healthy workplaces. Psychology being his field of expertise, Fleming says muchof the issues associated with workplace safety have more to do with how workersbehave and think, than the mechanical devices and safeguards in place toprotect workers. A recent high-profile example was the case against TranspaveInc., the first company convicted and sentenced under the Bill C-45 amendmentsto the Criminal Code. A young Transpave employee died after getting crushed byheavy machinery. Investigators later found the company allowed the worker tooperate the machinery despite a deactivated safety mechanism. This kind of tragic story is almost too familiar in manyworkplace incidents. “When I was just starting to do some graduate work, I was ata presentation about a big oil and gas explosion off the North Sea which killed167 people. As I was listening to the causes of that (incident) it became veryobvious that this happened because people didn’t do what they were supposed todo. All the engineering systems in the world can’t protect people in thatsetting. That is fundamentally a psychological issue, not an engineeringissue,” Fleming explains. This is where leadership comes in. When management makes acommitment to workplace safety, it is important to understand why people do thethings they do, then use that knowledge to guide them in making betterdecisions, he says. Petro-Canada is one of those companies that put value onworkers’ input in achieving safety excellence. In fact, employee engagement is one of seven key successfactors for attaining its Zero Harm philosophy, says Greta Raymond,vice-president for environment, safety and social responsibility for the Calgary-basedoil and gas firm. “Zero Harm is our philosophy that means we believe allwork-related injuries and illnesses are foreseeable and preventable,” Raymondsays. Leadership visibility is also a vital component of ZeroHarm’s success. It is demonstrating to employees that their leaders arespending time out on the floor, concerning themselves about safety, and notsitting in their offices thinking about budgets and production, Raymond says. There are a few ways leaders can demonstrate the importanceof safety to employees. When supervisors and managers tell their staff that safetyis as important or more important than production, they have to ensure thatthey are spending equal amounts of time talking about safety as they dodiscussing production with workers, Raymond suggests. If one aspect of work is unsafe or poses a risk to workersafety, the supervisor or manager should be able to make the decision ofstepping back and thinking things through even if it means slowing downproduction. “That’s very powerful when (workers) actually see leadersmaking that choice,” Raymond says. When workers raise issues about safety, their leaders needto listen and follow through, she adds. Petro-Canada looks to its leaders as the foremost proponentsof safety culture. Part of instituting the Zero Harm culture across theorganization, leaders undergo a full-day course that details the company’sexpectations of their leaders as Zero Harm advocates, through role playing andcase studies. Since its creation in 2003, Petro-Canada’s Zero Harminitiative has resulted in huge reductions in its total recordable injury rate,from 1.54 in 2003 to .75 in 2008. The total recordable injury rate is thenumber of events or injuries that require medical treatment per 200,000 hoursworked, both by employees and contractors. “We really have changed the culture of the organization,”Raymond says. 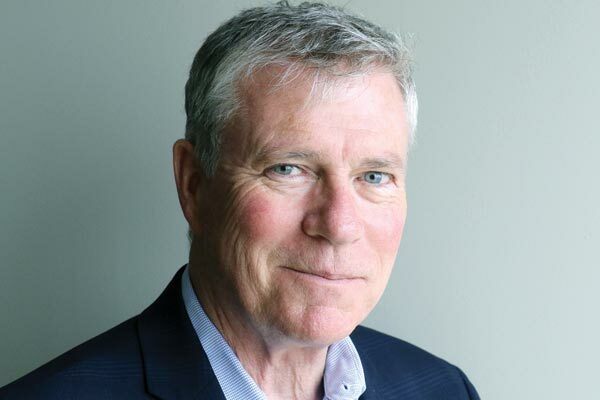 Direct influence on employees’ behaviour towards safetytypically comes from frontline supervisors and managers, rather than the seniorexecutives, says St. Mary’s University’s Fleming. That’s because these leadershave a more direct relationship with the workers than the senior levelofficers. To what extent then do senior executives influence employeebehaviours? Fleming admits, however, that it has been difficult in thepast to conclusively measure and determine the link between senior executivesand frontline employees when it comes to influencing safety behaviours. There are typically only a few senior executives in anorganization that it’s difficult to draw conclusive findings on those.Conducting research on this area would require a large number of organizationsunder study, he says. “But what I think is going on is a two-stage process: Ithink the senior leaders set the priorities for their direct reports – themanagers. Then those managers influence the people who report to them, so it’ssort of a cascade thing,” Fleming explains. No matter the extent of the influence, however, Petro-Canadalooks to its senior executive team as primary proponents of a safety culture. Company leaders, from the supervisors to thevice-presidents, all have to undertake a training called, Leaders’ Role inCreating the Zero Harm Culture, says Raymond. “The top executives, whenever they talk to employees,whether its through written materials or otherwise, they always talk aboutsafety,” she says. During what’s called a Safety Stand-down, Petro-Canada’ssenior executives travel to various work sites and take the opportunity to talkdirectly to the employees, Raymond says. public safety at the Conference Board of Canada. The Conference Board of Canada acts as the secretariat forthe CEO Health and Safety Leadership Charter. Founded in 2005, the charterprescribes a series of commitments that member CEOs voluntarily choose to make. From the initial 50 members, the charter has grown to morethan 250 CEO signatories across the country. As the “representative of the values of the organization”,the CEO Leadership Charter maintains that the CEO’s role as safety leaders goesbeyond just setting the policies for health and safety, but ensuring theiractions are consistent with what they tell their employees. The CEOs also have the unique challenge of finding ways tointegrate elements of health and safety into all aspects of the organization.This includes making sure that job descriptions have a health and safety componentand that health and safety are regular agenda items throughout theorganization, Munn-Venn says. Because many of these challenges are unique to the CEO role,these top leaders look to other CEOs within and outside of their industries forbest practices. The CEO Health and Safety Leadership Charter provides a venuefor these executives to come together and share their experiences and learnfrom each other.